Of course, the neighbour’s response is a common response that we could hear from many. It is summed up in Yogi Bear’s famous life philosophy, “Why do more when you can do less.” This was the mistake of the rich young man in today’s gospel, a man who sincerely desired salvation and who meticulously observed the Law, but was prepared only to settle for less when he could have achieved so much more. As a faithful follower of Moses and the Law, the man would have been steeped in the tradition that the law gave life to those who kept its precepts. Jesus did not abrogate or revoke the Law as demonstrated in his answer to the young man. But Christian faith does not start and end with the Law. It would make an even greater demand. Beyond the normative and the ordinary requisites of natural law, beyond the most compelling legislated responsibility to one’s neighbour, the Christian disciple was called to renunciation as a means of generosity toward others and to a life of faithful adherence to the person of Jesus. Love does not merely suggests it. Love demands it. In other words, the man was called by Jesus to surrender his traditional manner of serving God, through mere observance of the law, and to launch out into new, uncharted and perhaps insecure waters. It is the challenge that Christ throws to everyone who would follow him, that is to reach the unreachable; to leap beyond the practical, the ordinary and the routine; to fulfil the basic and minimum requirements and then to look eagerly for more ways to give, care, and love. Heaven, eternal life was within the young man’s reach, but the story ends on a sad note. In the face of Jesus’ radical invitation, the man’s enthusiasm had at first virtually bubbled over in extravagant praise, then evaporated in disappointment and perhaps frustration. Like so many of us, he settled for mediocrity, thinking that the bare minimum would be sufficient, without having to trouble oneself to do more. But you see, mediocrity will never do. We have been created and called to greatness. Mediocrity is often thought of as a virtue, in that it is confused with contentment with what we possess and trust in the Providence of God. If there is indeed contentment, it has to do with sin. “This is who I am. You can’t change me.” As Lady Gaga would insist, we are “Born this way.” The truth of the matter is that mediocrity is a lie, it is a frame of mind that convinces us, who we are, is the best we can be; what we have is the most we can have, and we are not deserving of anything better, and or enjoying life more than we do. It sells us the lie that we are not good enough for God’s best; settle for what you have, because you will not get anything better. Mediocrity is the greatest inertia to change, transformation and conversion. And finally it allows us to settle for less than the Truth. Half a truth remains a lie. Today, we see the rise of mediocrity in every sphere. In fact, many celebrate their mediocrity by announcing, “this is who I am, take it or leave!” When mediocrity has become the norm, when our imperfections and limitations are applauded or even hung up like trophies, when the status quo is accepted without question, there is no longer any impetus to improve ourselves, to grow and advance in sanctity. Mediocrity today poses as democratisation, inclusiveness, populism, condescension, tolerance, broad-mindedness, optimism and even charity. Mediocrity provides the anaesthetia our society needs to shield it from the sting of suffering. In other words, mediocrity presents the promise of salvation without a cross, charity without needing to sacrifice. We try to make religion easier and more accessible in order to stem the steady decline in followers. But mediocrity is settling for cheap; it is selling a lie. The call to holiness, ultimately, is a call to perfection. Being average or just good when it comes to holiness just doesn’t make it! But as Christians, we hear Christ’s rallying cry to walk the extra mile, to go out into the deep end, to make the greater sacrifice for faith. We are all called to be saints! You will hear Jesus constantly prodding you, “Why do less when you can do more?” The law may simply set the minimum base line. But even here the sky is not the limit, only Heaven’s the limit, and there is no limit to Heaven. Our Catholic faith must therefore constantly spur us on to greater heights. 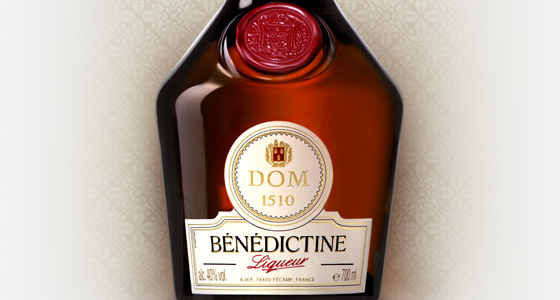 The Benedictine monks who created the medicinal liquor that bore their name, understood the need for achieving such perfection and excellence in something as mundane as a drink. In that meticulous and painstaking process of producing this brew, no effort or cost was spared. Mediocrity was never something tolerated. I’m partial to believe that they must have been the first to invent quality control. The abbreviation which appears on each bottle of this liquor, D.O.M., points precisely to this spirit. 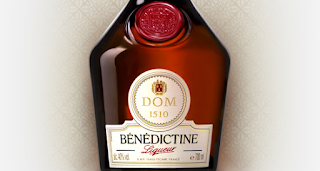 The abbreviation refers to a Latin phrase, Deo optimo maximo, which means “to God, the best and the greatest.” If Benedictines can understand what it means to give to God what is best and greatest in a simple drink, we can certainly recognise the need to give to Him, not just our leftovers and scraps, our mediocre efforts, our meagre offerings but all that is best and certainly that which is greatest. For God deserves no less!